We Buy Houses in Missouri City Fast! Are you at a point in your life where you ask yourself how I sell my house fast in Missouri City Texas ? Or have you ever wondered who will end up buying your house in this part of the world? We at Quick House Buyers will be able to give you some tips on how to get your house bought immediately by following a few easy steps. However, before we discuss that let us first talk about the major advantages of working with Quick House Buyers when it comes to buying and selling your own property in the future. The importance of working with a reliable real estate company such as ours is that it cuts down on the waiting time for the sale to come through. Missouri City houses usually take longer to sell. This is why having a company like Quick House Buyers working for you will certainly be an advantage. This company cuts down on some of the fees needed for the sale to push through. This is why our company is one of the most recommended real estate establishments in Missouri City Texas if you need cash for houses. Our home selling process is very simple. All you have to do is follow the three steps given below and you should be able to sell your house within just a few days. If you need to sell house online, this is also the best option to take. 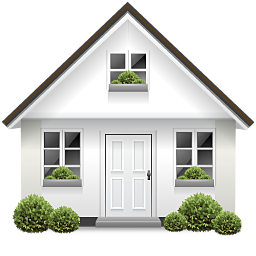 Quick House Buyers will be there to guide you every step of the way if you want to put your house on display in the website. We also specialize in direct selling without the mediation of the realtor. We also have many years of experience under our belt so if you would want to have a reliable real estate experience, working with us at Quick House Buyers will be the best route to take. Do You Need To Sell Your House in Missouri City? Below is the three-step process by which we are able to help homeowners gain much more certainty when it comes to selling their homes. First, you would have to call and submit the necessary information on the website. We can then give you a callback to discuss the present condition of your home as well as the outstanding features that this particular property can offer. We can buy your Missouri Cityhouse. Next, we will be scheduling a home visit. Here, you can give our staff a walk through of the house itself. Through this, we will be able to see if there are needed repairs. After this, our property specialist will explain and sign an agreement with you for the sale. Now, you can choose your closing date and sell your home immediately. It is really quite easy. You can also set the schedule and have us take care of all the important details. All you would really have to do is to show up, sign some paperwork and receive your cash within just a few hours of the sale. If you would like to learn more about how we do things, please do not hesitate to contact the website at https://www.webuyhoustonhouse.com/ or call 832-579-1112. If you’re thinking that I need to sell my house immediately, this is the best place to go. You will get a real offer within 7 minutes right away!